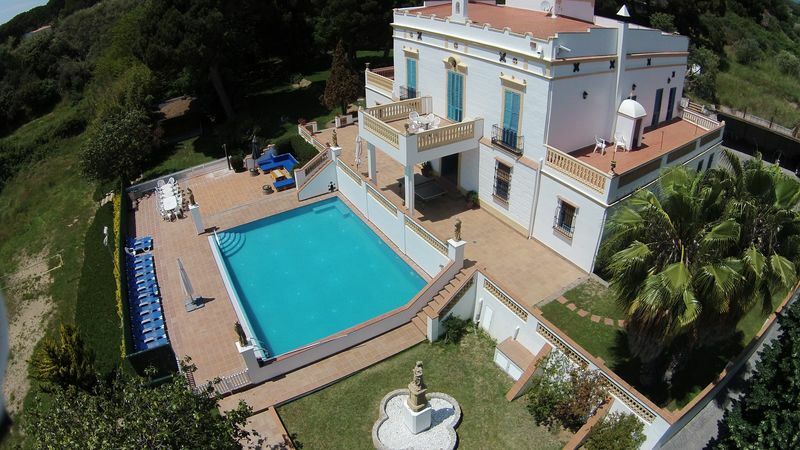 Private pool 12m x 10m with jacuzzi, depth of 1,10m min and 1,90m max. 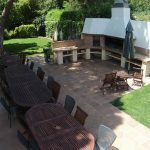 Great barbecue and wood-fired oven. 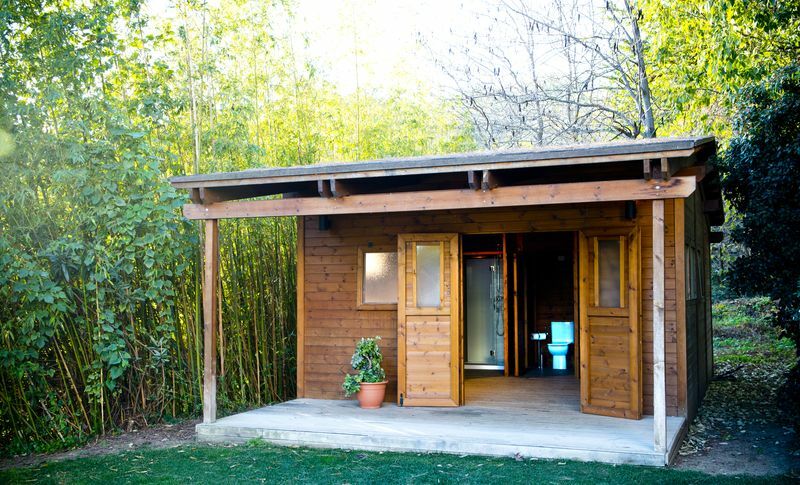 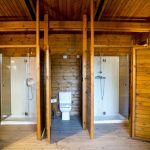 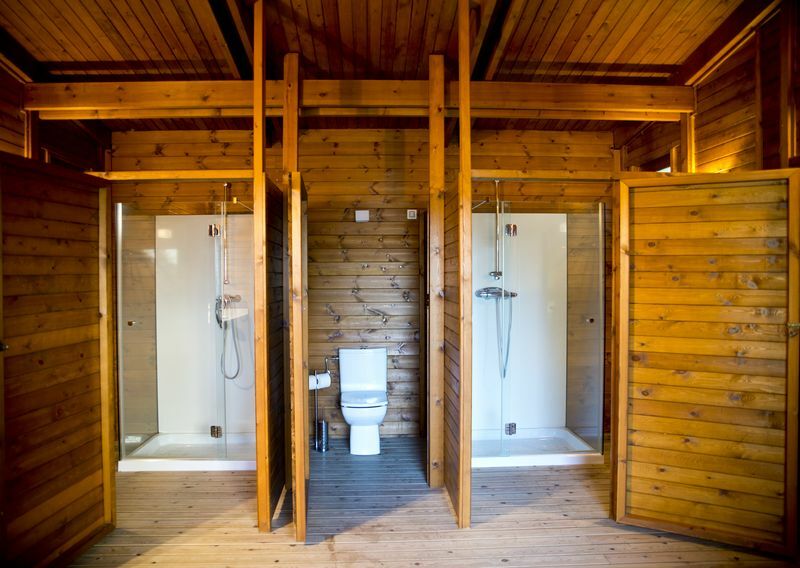 Wooden hut with fridge, 2 showers and toilet. 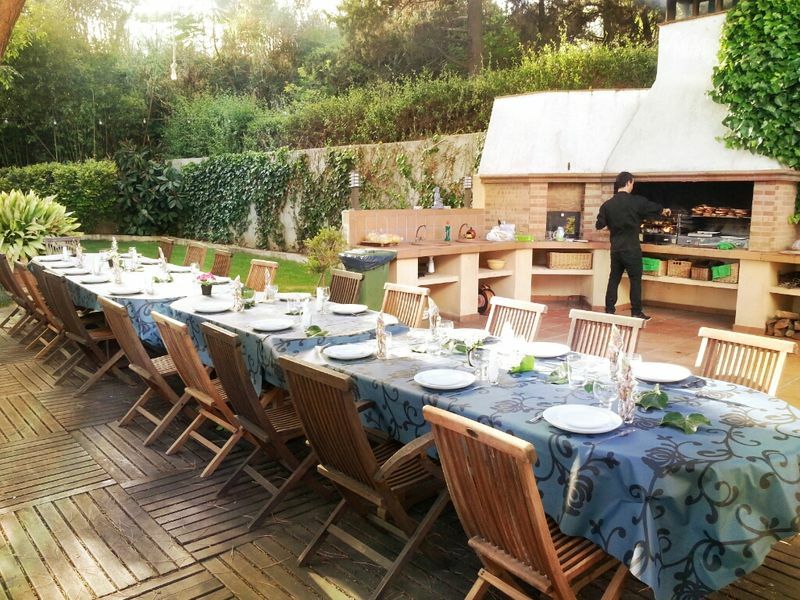 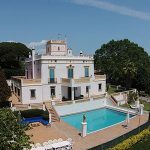 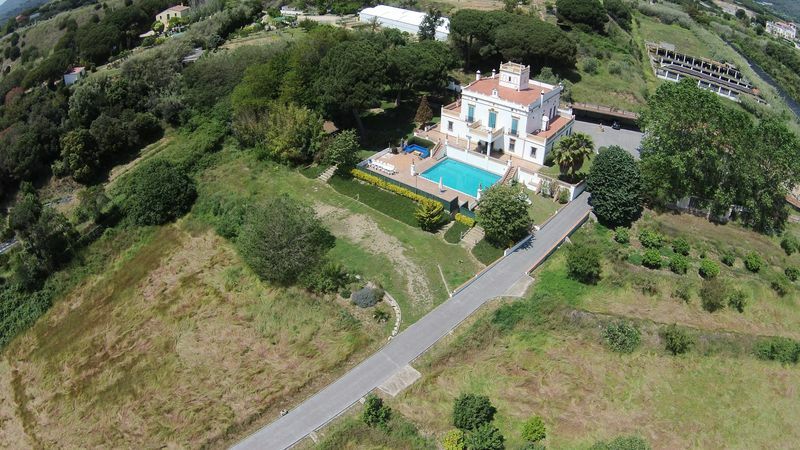 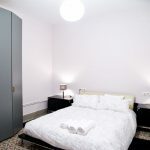 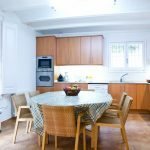 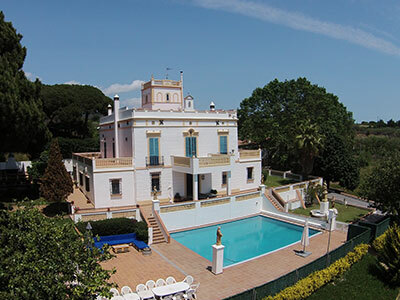 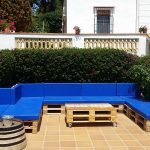 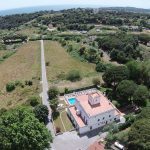 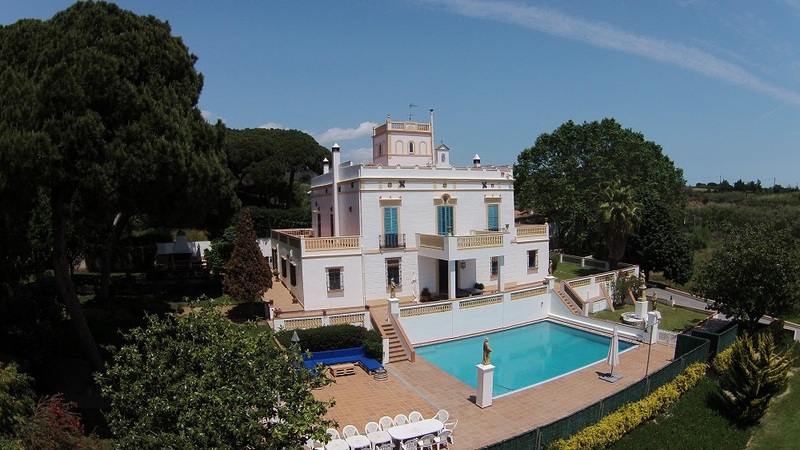 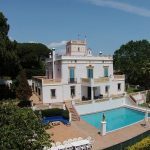 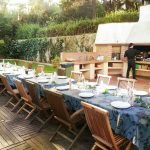 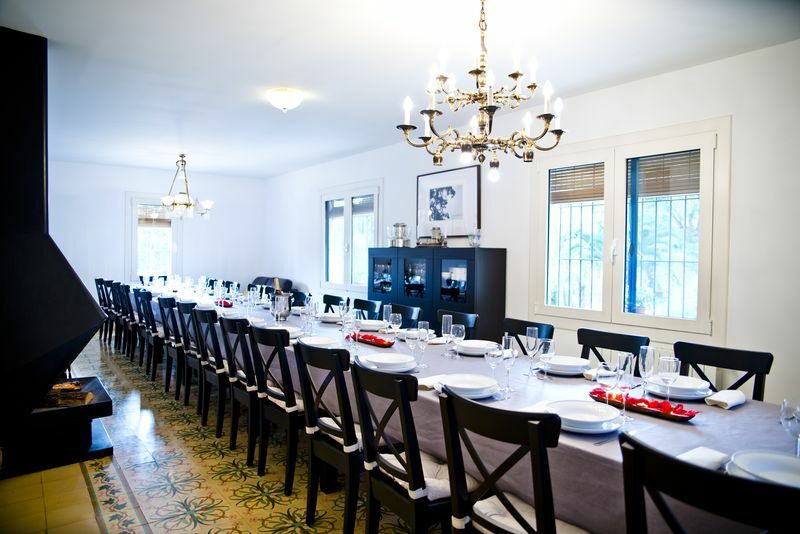 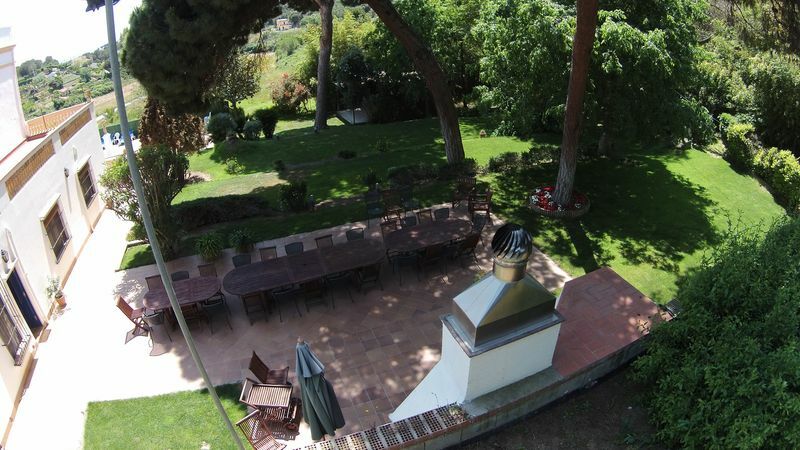 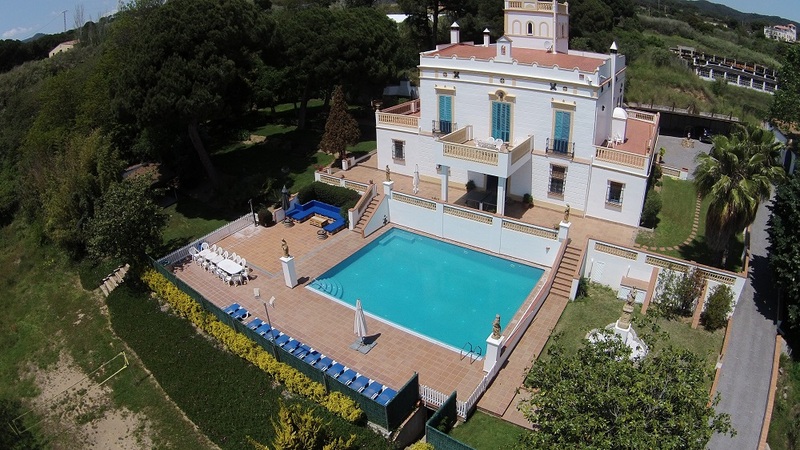 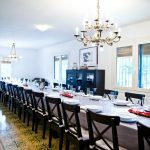 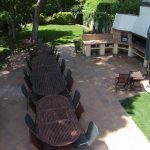 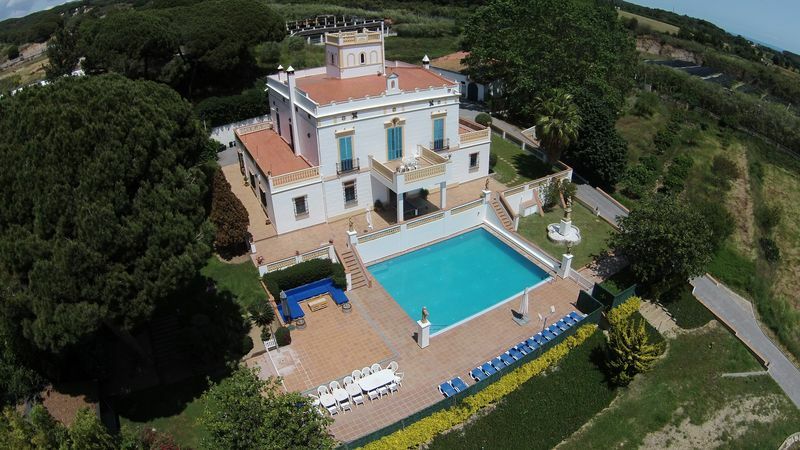 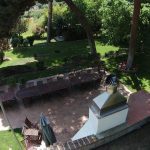 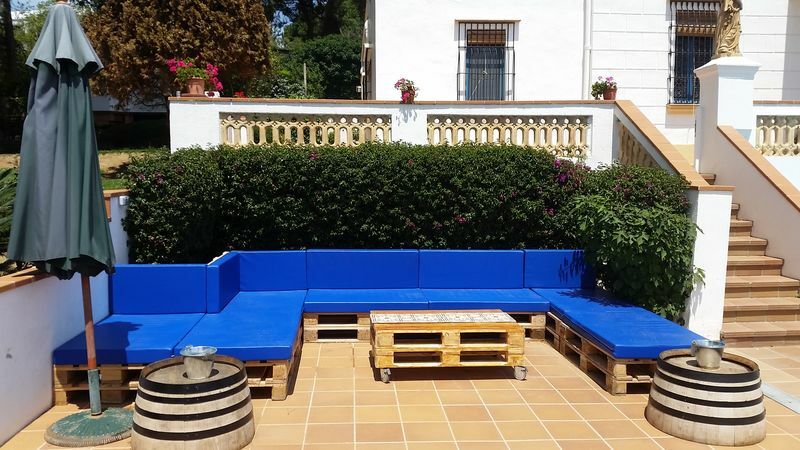 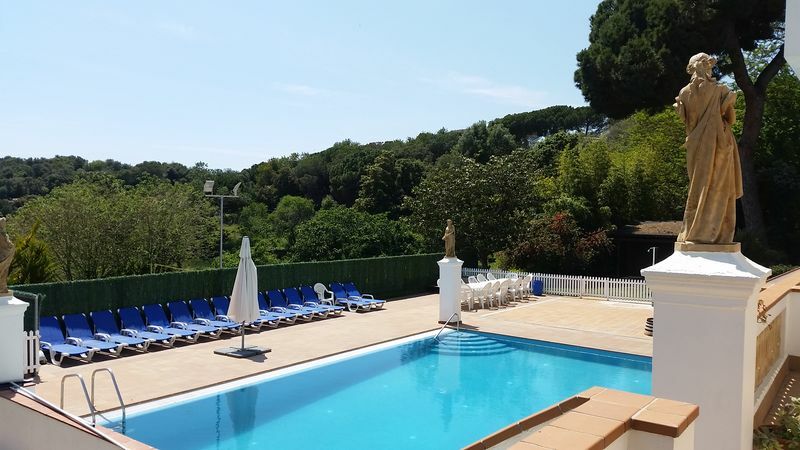 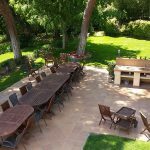 Horta del Pilar is an exclusive Villa situated in Arenys de Mar, a coastal town with a long-standing fishing tradition and just 45km away from Barcelona city. 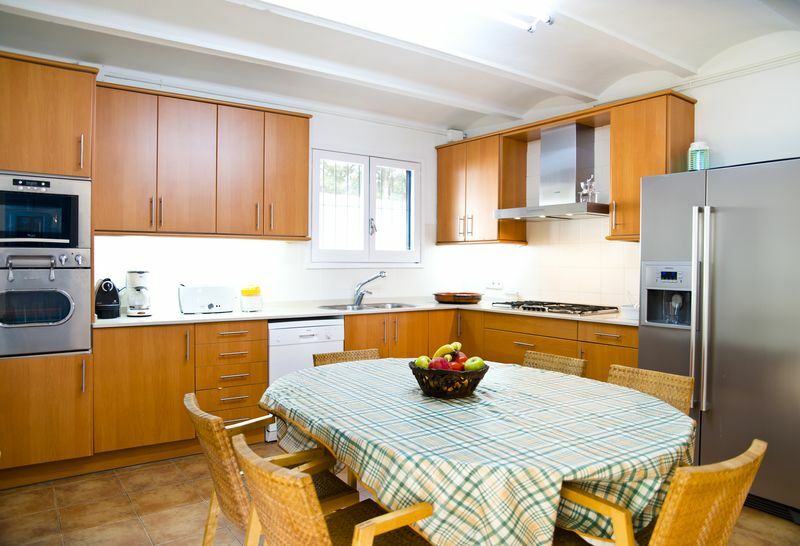 Its fishing and leisure port is one of the most important throughout the province and a driving force behind the town. 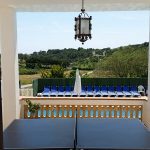 Arenys de Mar is also well-know for being the Barcelona citizens’ favourite second home to chill out and get away from the hustle and bustle. 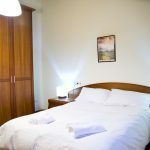 Besides, the town stands out for its charismatic buildings, its top-quality gastronomy and its strong traditional culture. 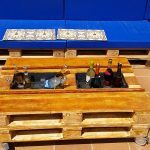 We strongly recommend you to take a walk along the promenade and the main street called “La Riera”, the heart and soul of the local activity that includes a great variety of bars, restaurants and shops. 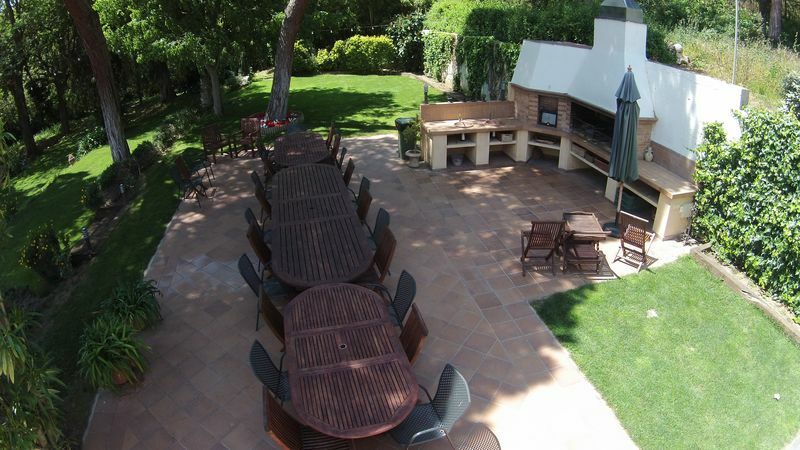 In addition, you will enjoy shopping in its weekly market every Saturday. 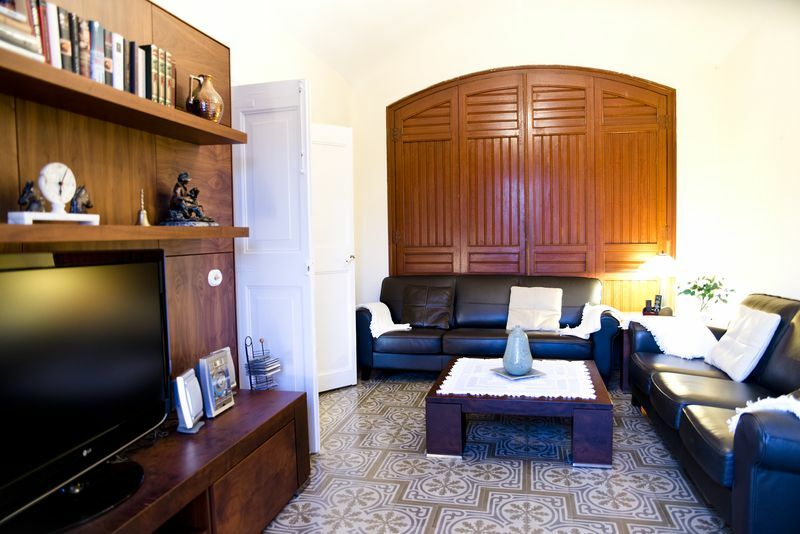 Throughout the year, you will be pleased with the leisure and cultural activities set up by the local people. 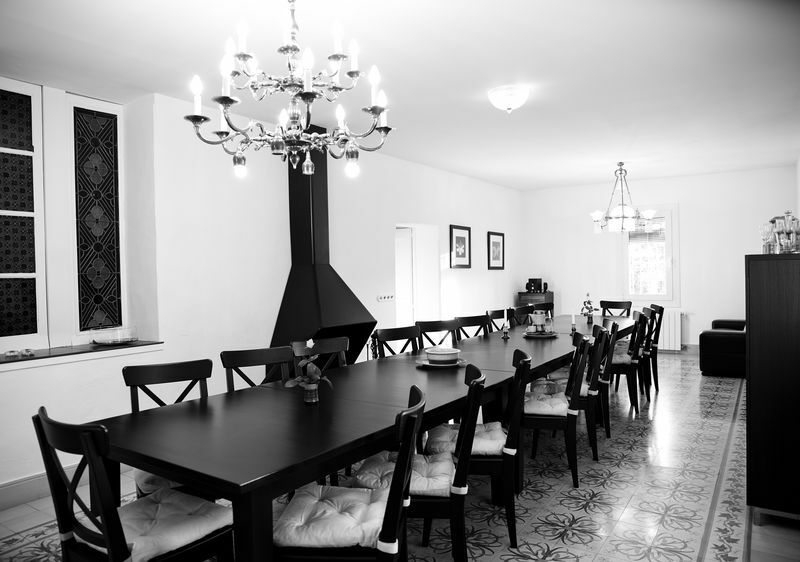 This colonial villa, built in 1885, is an excellent Indiano-style house fully restored and equipped. 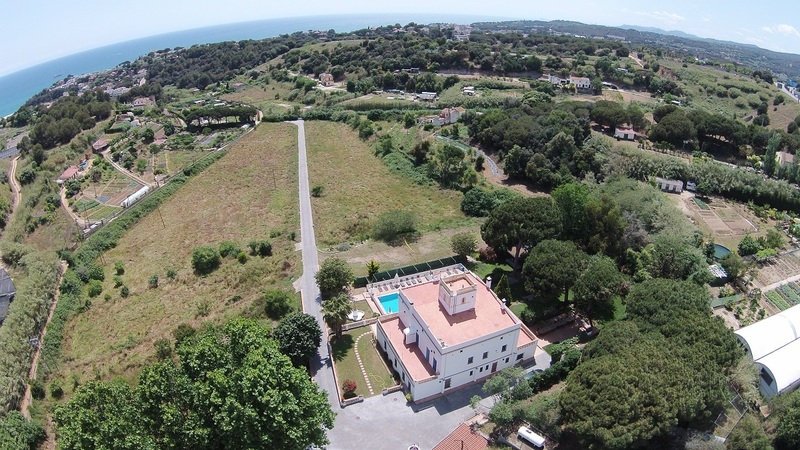 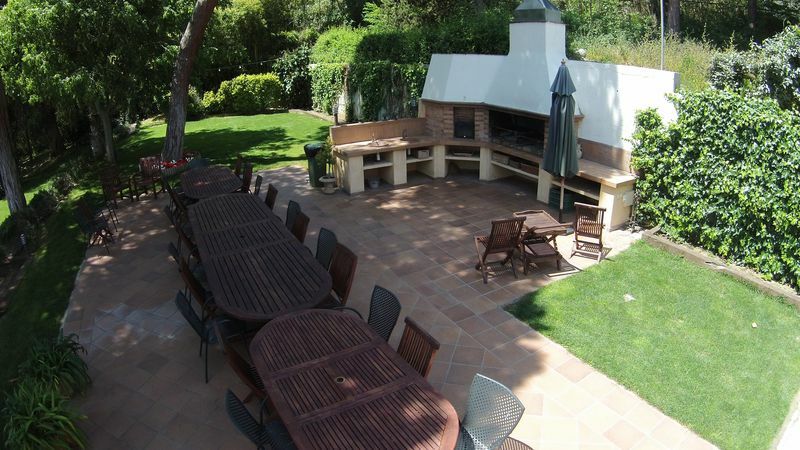 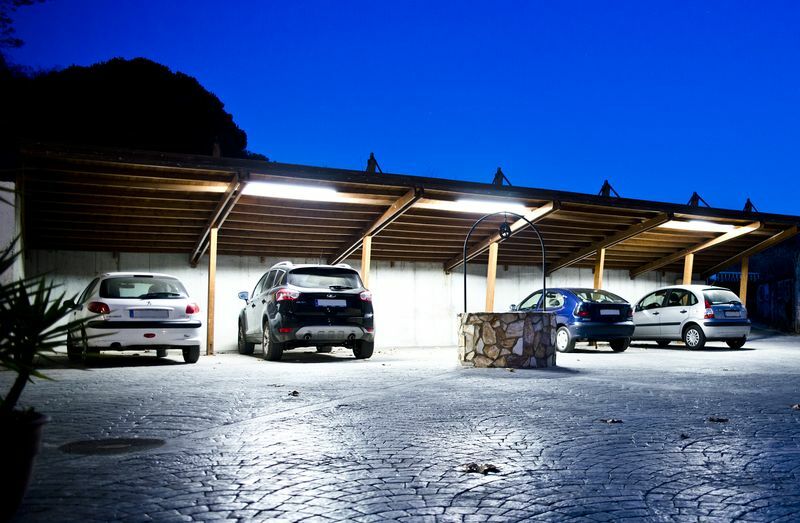 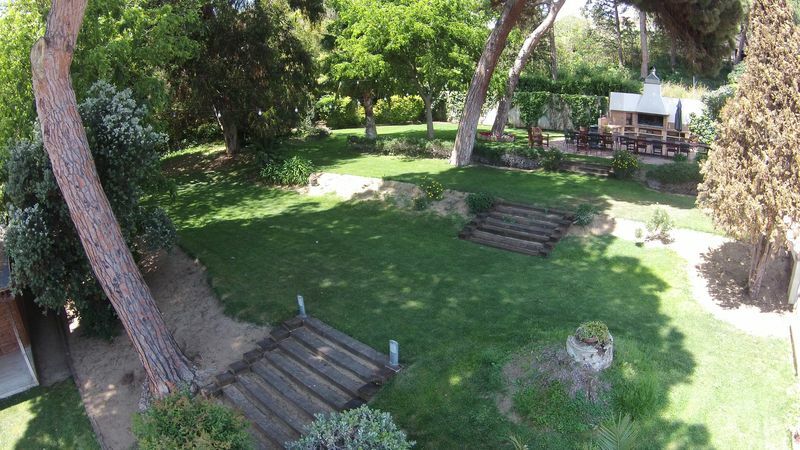 Its 700m2 of house are within the 2.5 hectares of the state, completely fenced. 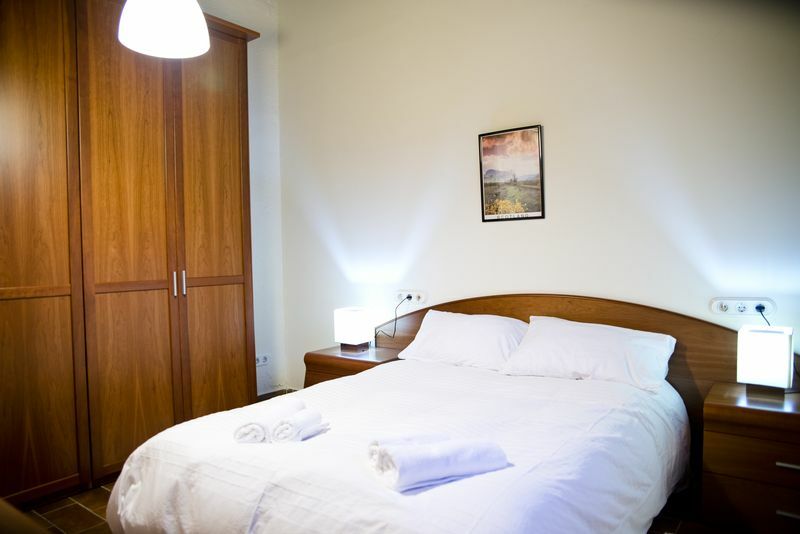 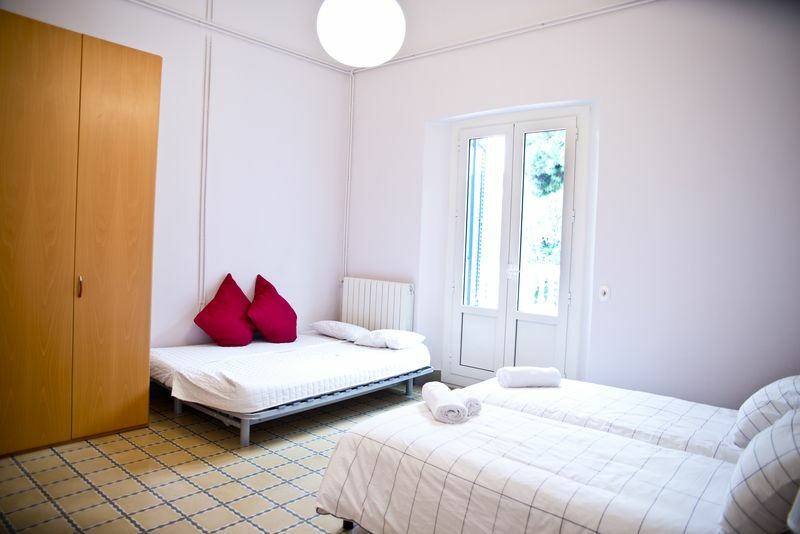 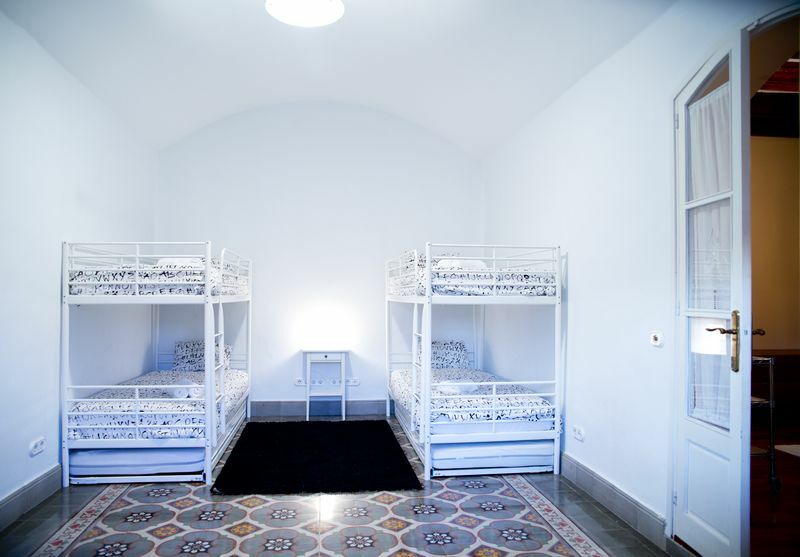 The house can hold up to 31 people distributed in 10 spacious and comfortable rooms. 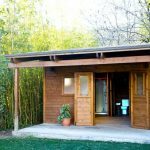 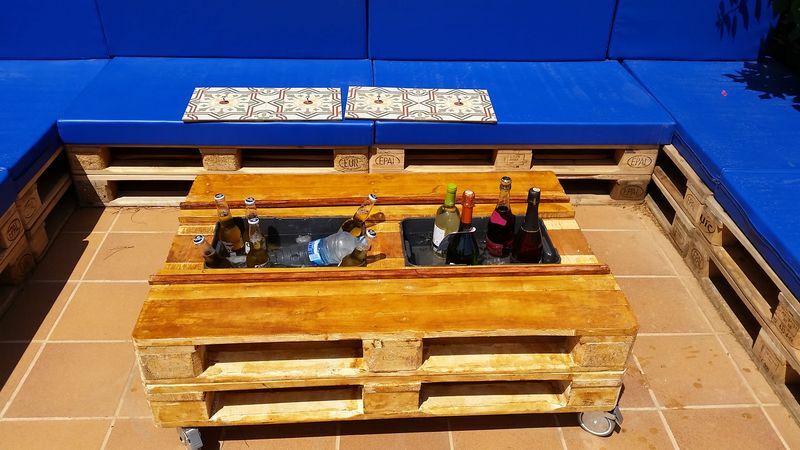 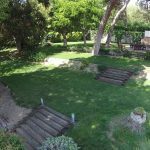 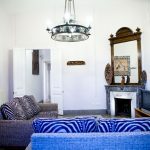 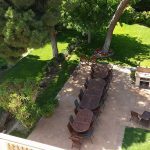 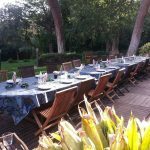 On the outside, you will enjoy its 2000m2 garden, bbq, wood-fired oven, swimming pool and wood house. 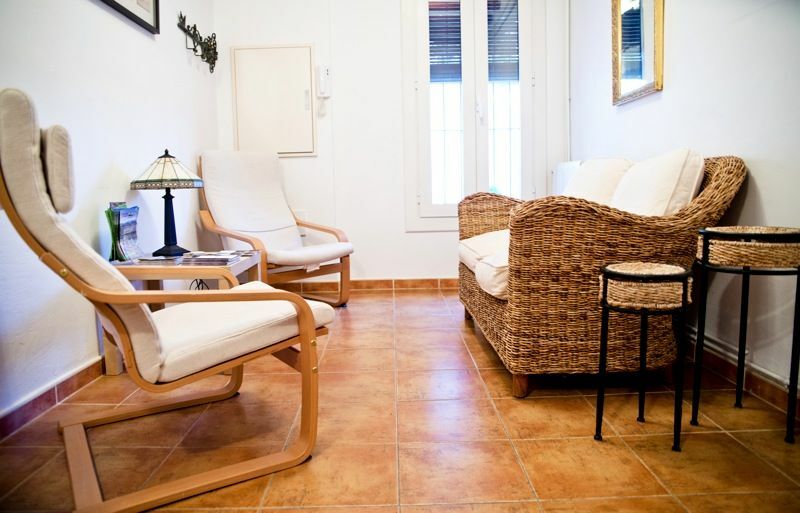 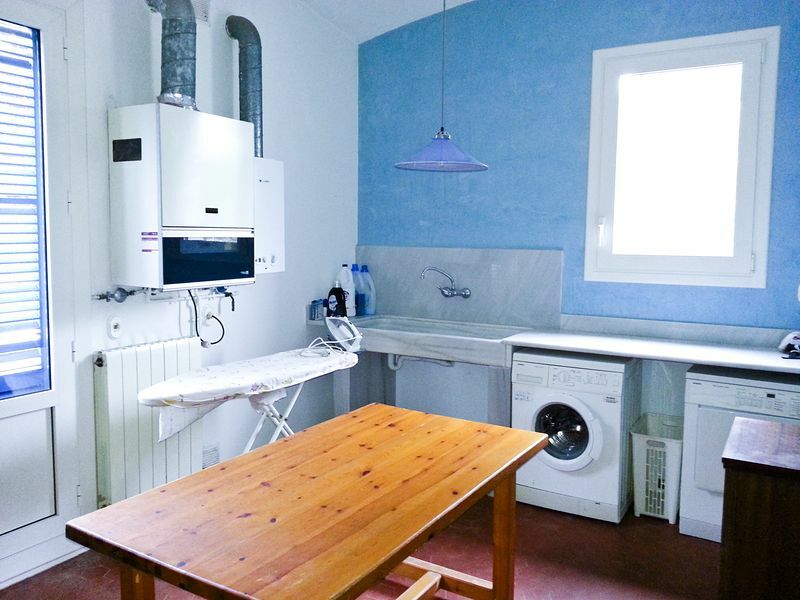 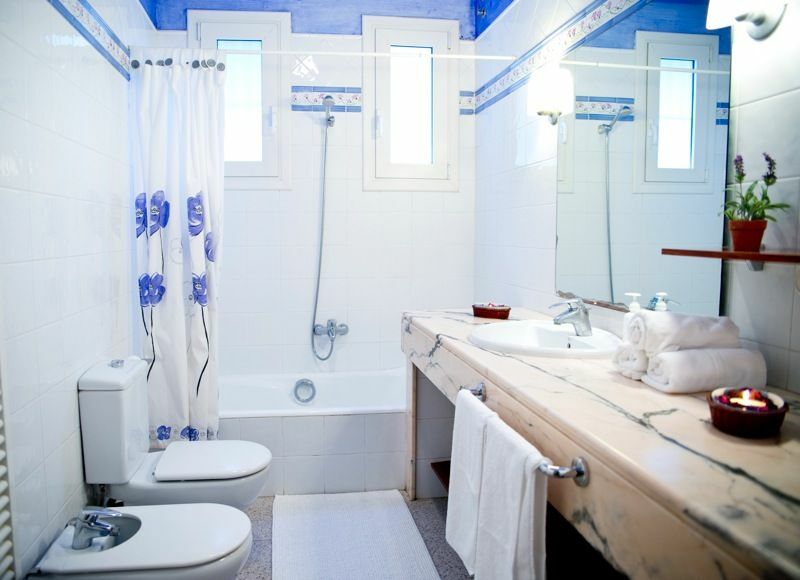 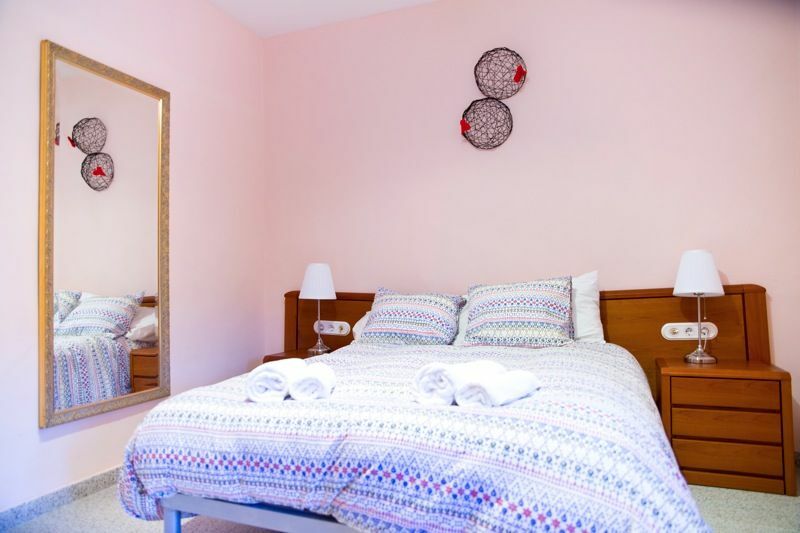 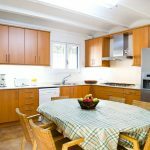 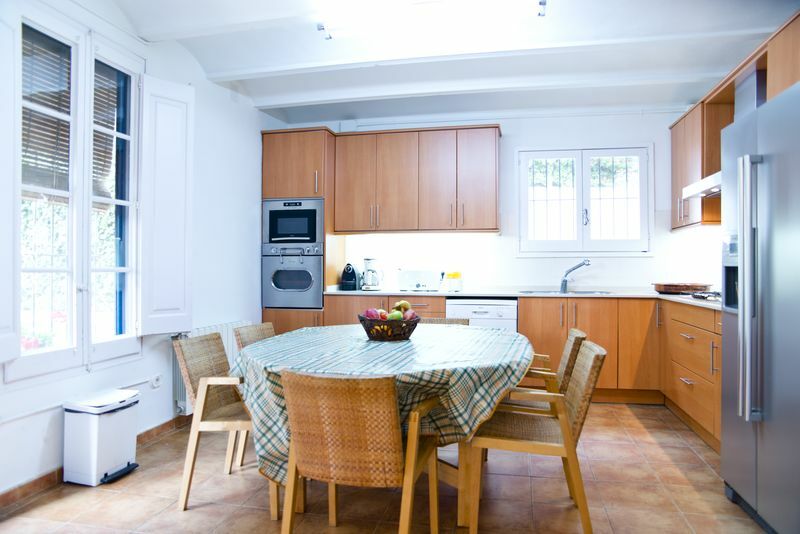 The house is located in the surroundings of the town and it is just 5 minutes from the beach. 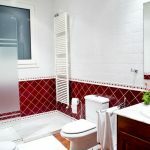 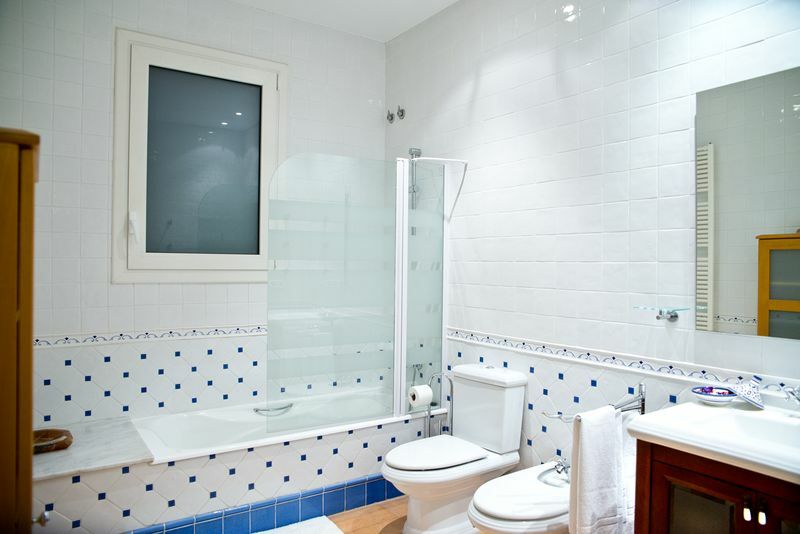 It also provides different areas and total privacy to its guests. 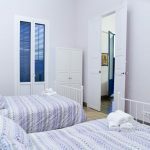 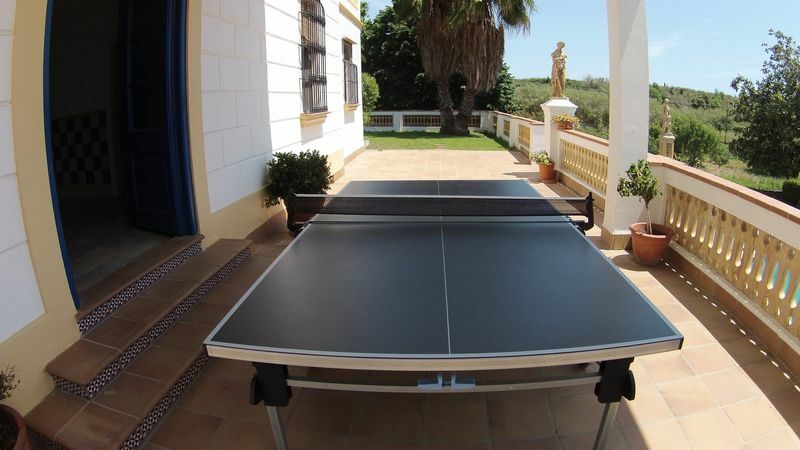 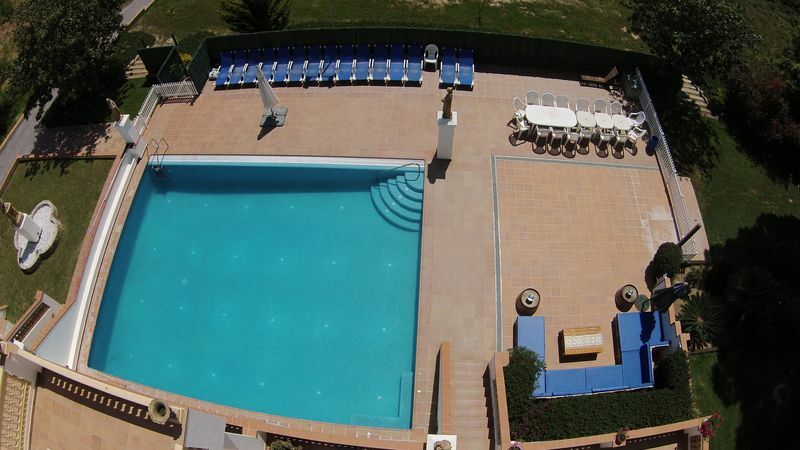 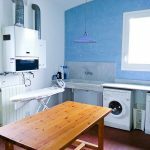 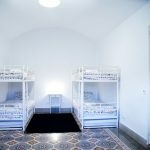 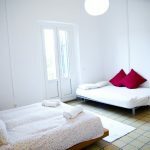 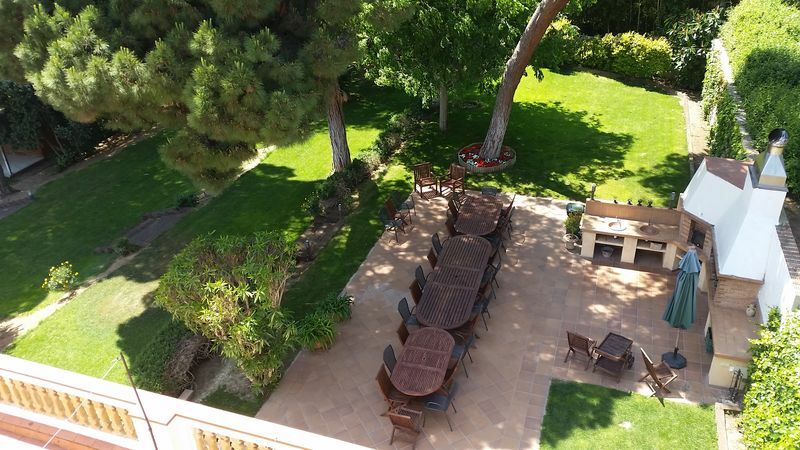 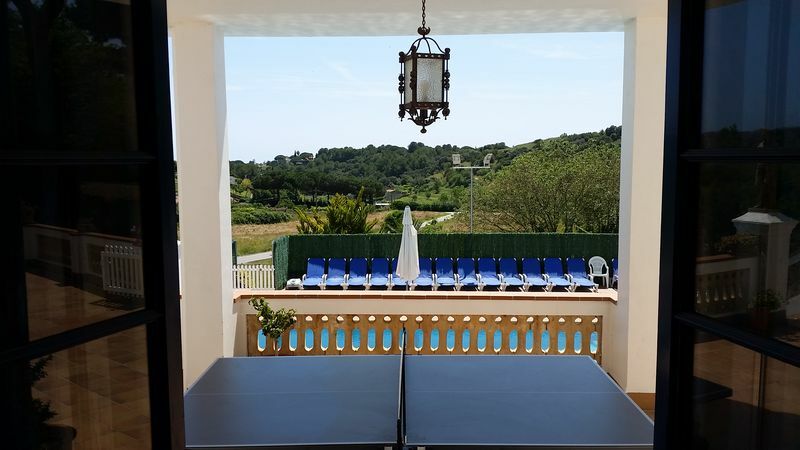 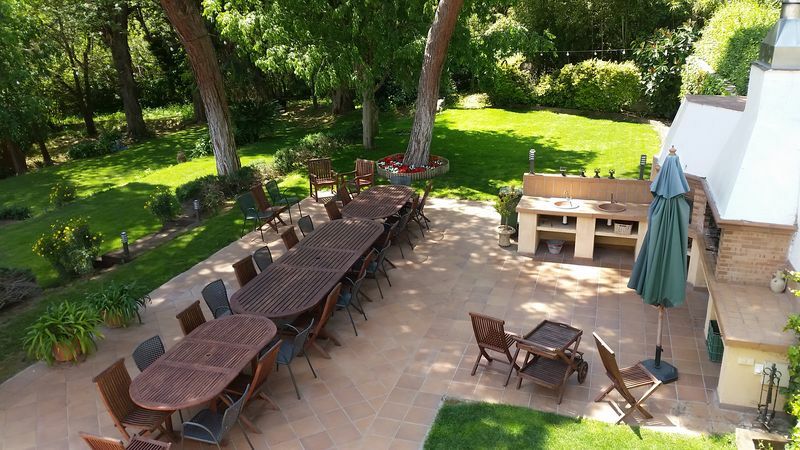 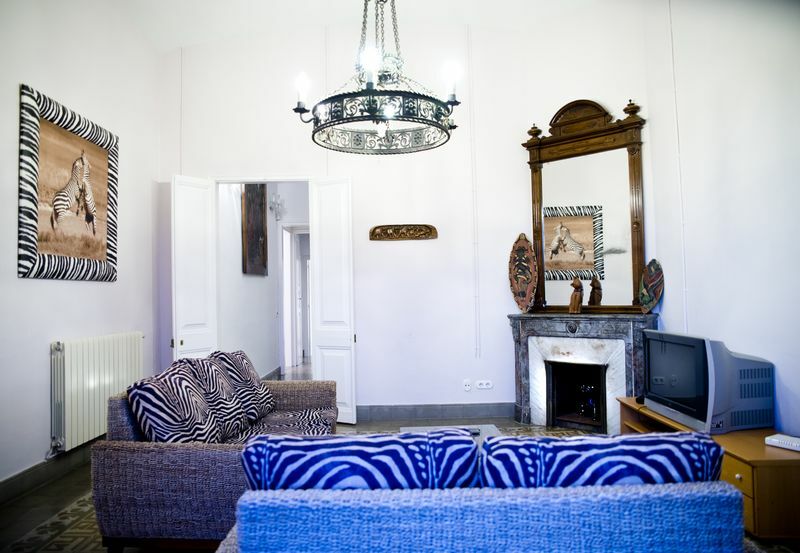 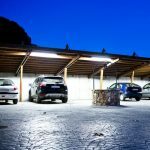 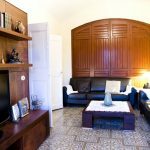 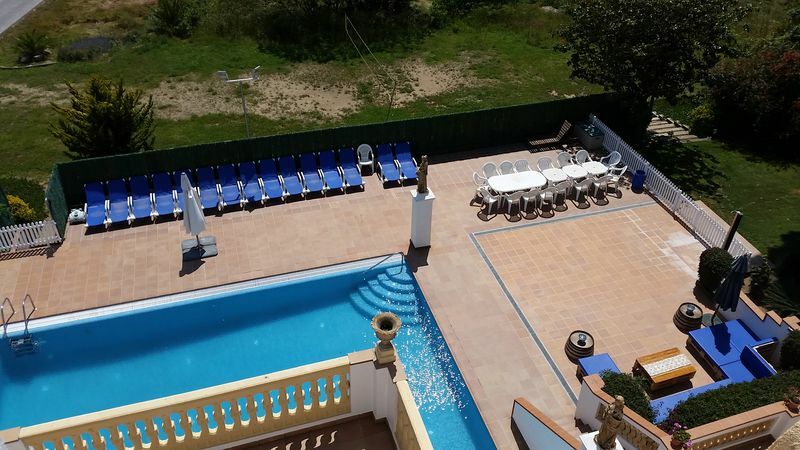 Horta del Pilar is just the ideal house for large families or groups, a top-notch choice and a bet on a winner. 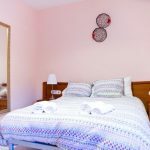 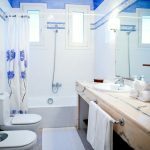 Possibility to book weekends and additional days from October to March. 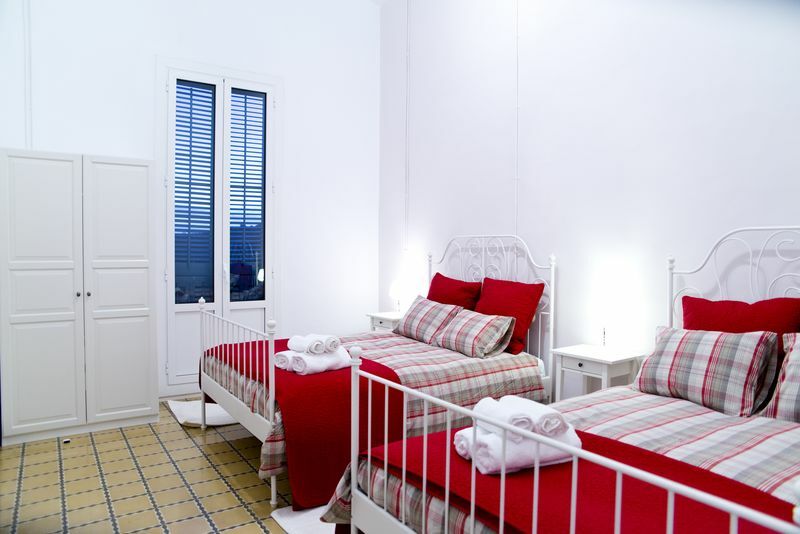 From April to October reservations are mandatory from Saturday to Saturday. 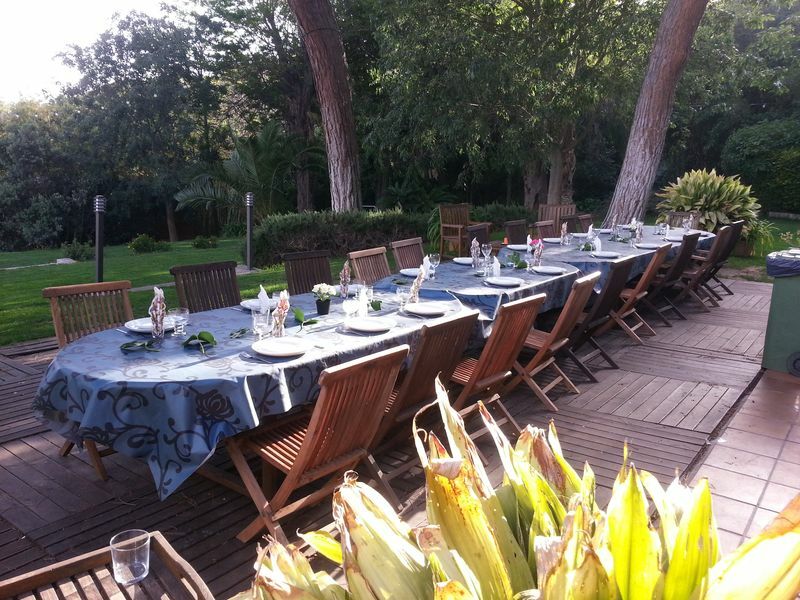 All kind of events could be done at the villa, we could also offer catering service and furniture/decoration rental.